These solid travel bumbags have a fully adjustable waist strap, this can be adjusted up to a 98.5cm waist. Please allow a little size difference due to manual measurement. Our service purpose is makes customer 100% satisfaction, if you have any problem, please contact us first. We pay attention to product quality and customer service, we stands behind it's products and will happily answer your any questions. Please feel free to contact us if there are any problems, thank you! Approx Dimensions: Size: 18.5cm x13cm / 7.3 x 5.1in (L*H*W); the biggest waist 95cm, one size fits most. 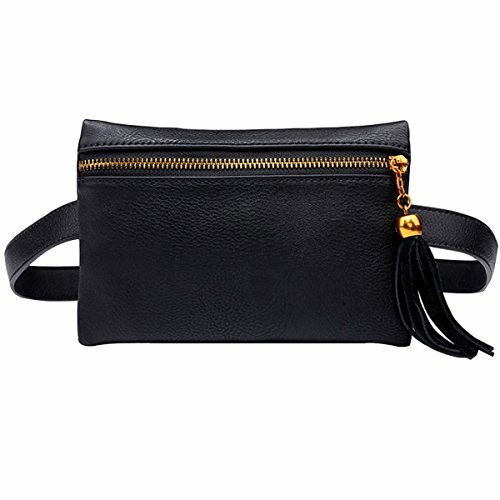 Spacious Interior pocket, belt bag can be adjusted, longest circumference 98.5cm;It can easily hold your daily necessities like business cards, ID cards, keys, cash, notebooks, phone etc. If you have any questions about this product by Sun Kea, contact us by completing and submitting the form below. If you are looking for a specif part number, please include it with your message.